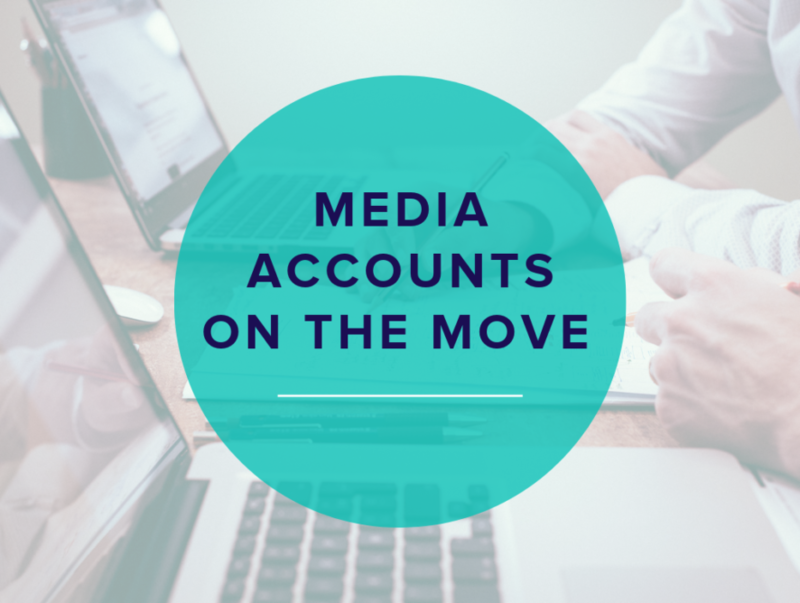 Agency shifts are a leading predictor of upcoming opportunities for media and marketing sales professionals for several reasons. First, they typically indicate the launch of new campaigns with increased spend, creating a multitude of opportunities for sellers. Additionally, shifts may signal a struggling brand pouring their remaining ad budget into an agency with the hopes of overcoming those battles. Lastly, new agency relationships may also suggest the potential for a domino effect of agency hires to follow. Our in-house team of researchers compiles top media agency hires to help sellers become aware of potential opportunities before their competition. If you’re an ad seller, read on for five agency shifts that are bringing several hot opportunities your way. In order to assist with new marketing strategies, Lumber Liquidators hired a media planning agency, a creative agency, and new channel partners to contribute to digital marketing capabilities. The flooring retailer plans to shift spend towards more effective channels such as digital as opposed to print and direct mail. The brand plans to develop an omnichannel presence and revamp their website in order to improve the customer experience. Most goals are centered around high ROI, and increased spend throughout the year will support this. New campaigns were released in March, so sellers should reach out for last-minute revenue. Following the campaign, dollars will be available from spend increases, new stores, and a typical high spend from Q3-Q1. Keep in mind their main demographic consists of female homeowners. Lumber Liquidators is still on the search for a media buying account, so those pitching should reach out with ways to support the brand’s numerous recent marketing shifts. According to AdAge, Prestone selected Doner as it’s new creative AOR and Assembly as it’s new media AOR. These shifts follow recent leadership changes including the hire of Gretchen Hickman, brand CMO function in April 2018. A campaign is expected this fall, so sellers are encouraged to reach out immediately in order to stay top-of-mind. Revenue is available year-round due to the fact that no top spending period has been named. The typical target audience consists of males via digital, TV, and social channels. With a new agency team in place, spend is expected to increase as well. Major competition includes Castrol, Total, Exxon Mobil and Goodyear, so make sure your pitch highlights effective ways the brand can stand out. The growing restaurant chain has selected Slingshot as it’s media AOR to handle media research, planning, and buying after their longtime AOR, Levinson and Hill, went out of business. Historical spikes in spend fall during Q4, with investments going toward broadcast, digital, outdoor, print, radio, and social media channels. The chain’s target demographic is made of parents, with a skew towards male millennials. Since reviews tend to follow each other, potential creative and digital work should become available in the near future. Don’t hesitate to reach out soon in order to remain top-of-mind. Crossmedia London took over as global media AOR for Etihad Airways. The agency’s work will cover all brands and will position the UAE capital Abu Dhabi as a destination. Major focuses will include data-driven approaches as well as operational transparency. With work already in progress, sellers are encouraged to reach out immediately with pitches. Spend spikes are typically Q1 and Q4. Keep in mind their target demographic consists of endemic peoples, especially with a recent push toward millennials. In 2018, the airline experience a $1.28 billion loss following struggles in the previous years as well. The hope is these declines will cease to exist with an improved marketing strategy. However, there are also rumors circulating of a potential acquisition by a competitor, Emirates. In an effort to combat struggles, Etihad recently partnered with the Special Olympics World Games and also just put into place partnerships with Gulf Air and Saudi Arabian Airlines. As you know, reviews tend to follow each other, so keep a close watch on any available creative or PR work. Be sure to focus pitches on plans to bring Etihad back to profitability. m/SIX was named Regions Bank’s media AOR to lead strategy and buying for the company. m/SIX is developing a planning team to cover the roughly 1,500 retail locations across the South, Midwest, and Southwest. Throughout the year, focuses for the company will include technology and new capability investments, including market expansion according to CEO John Turner. Look out for spend spikes throughout Q1 and Q3. Their typical demographic has a male skew with an emphasis on business decision makers. Highest channels of investment are historically broadcast, digital, print, radio and social. Since reviews tend to follow each other, creative and digital work is expected to be available within the next 12-18 months.